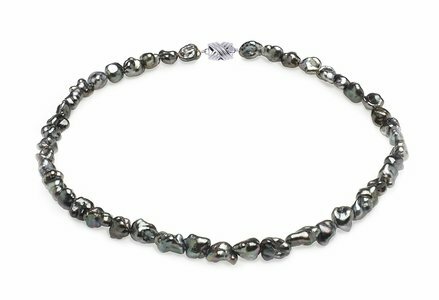 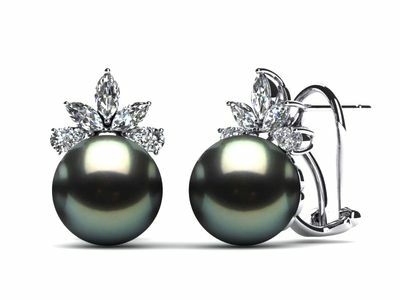 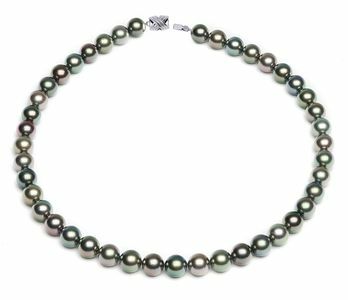 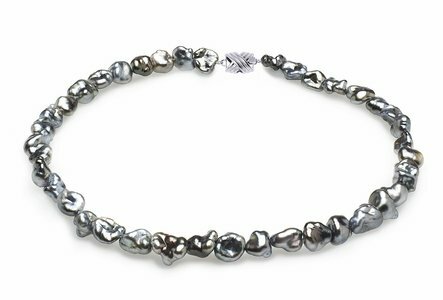 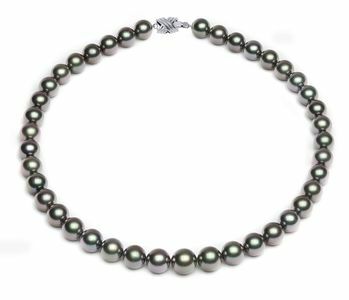 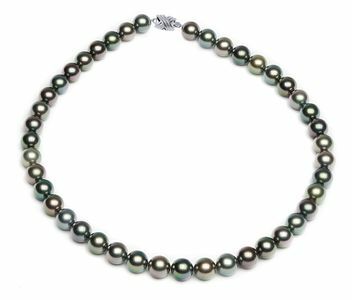 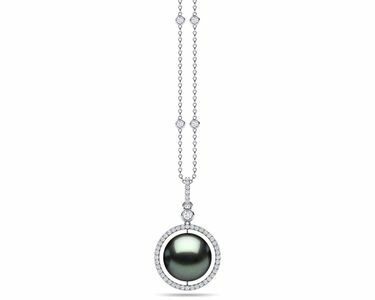 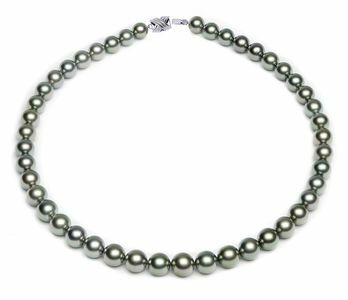 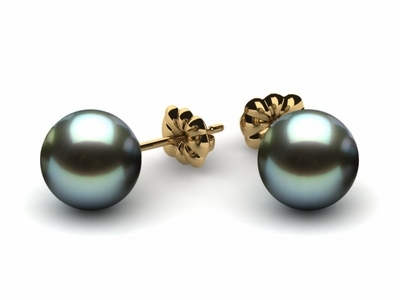 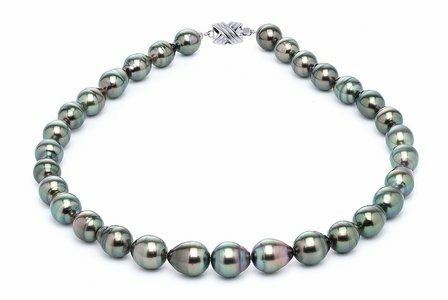 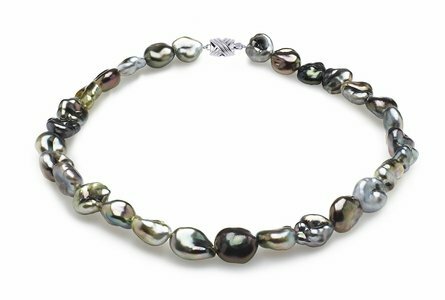 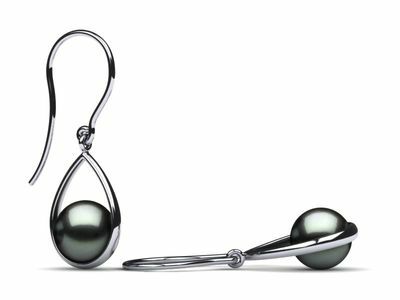 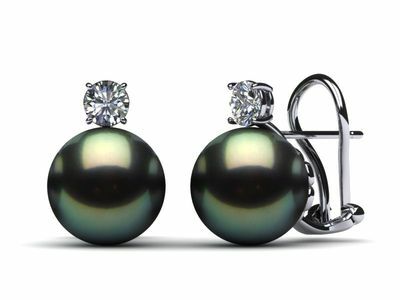 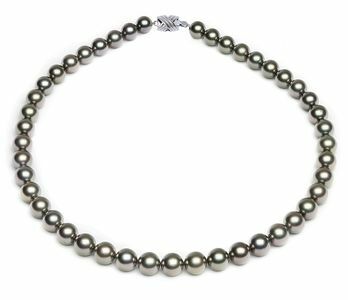 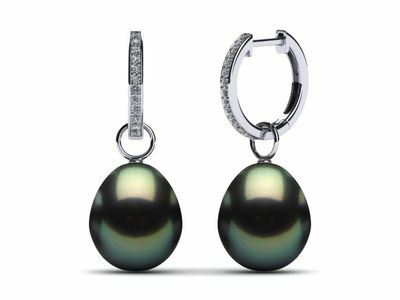 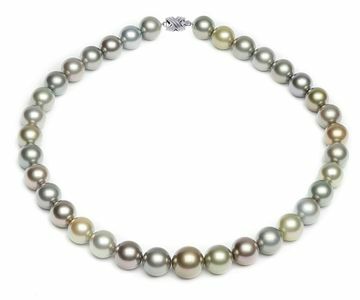 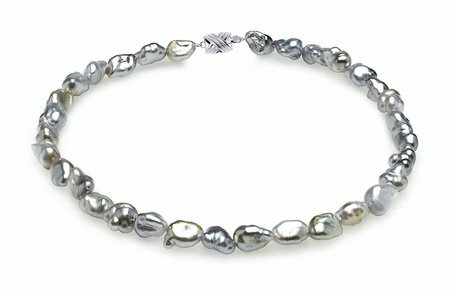 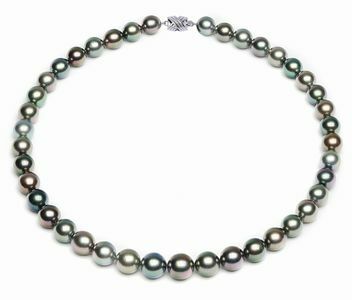 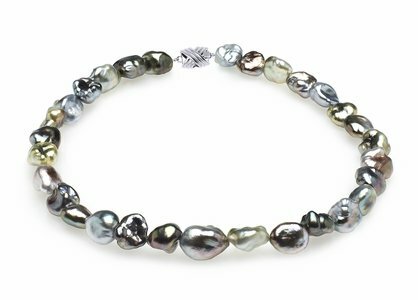 Each year American Pearl is proud to bring you the finest quality natural color Tahitian Pearls from the new pearl harvest. 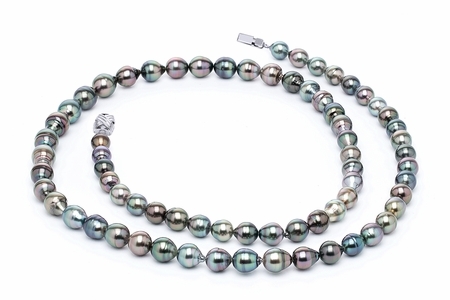 We offer the most vibrant, brilliant pearl colors available in the world. 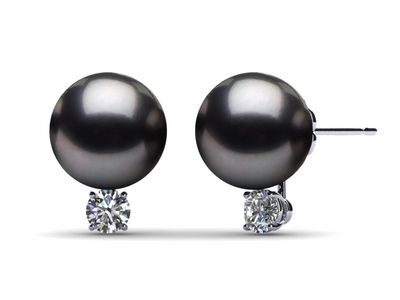 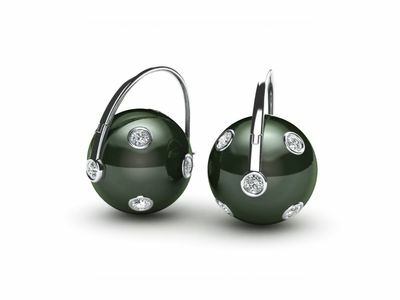 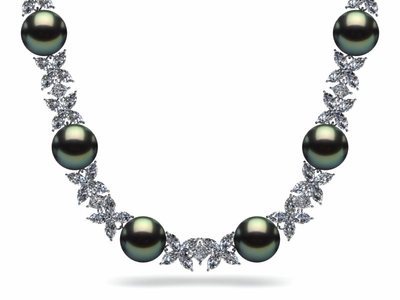 And if you look closely at the surfaces of the pearls, you will notice they are clean, indicating that they are TRUE AAA Quality. 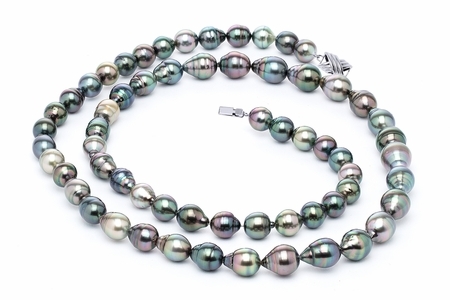 As you browse this collection, note how well matched the pearl colors are in the uniform necklaces. 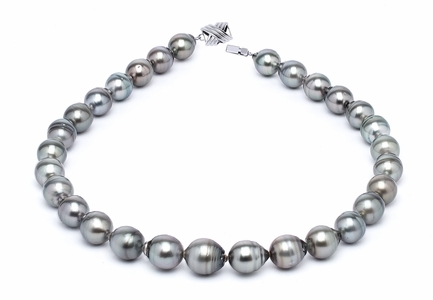 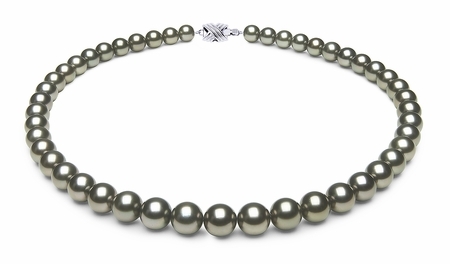 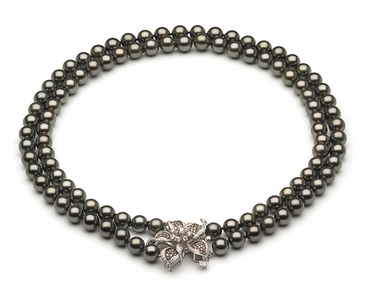 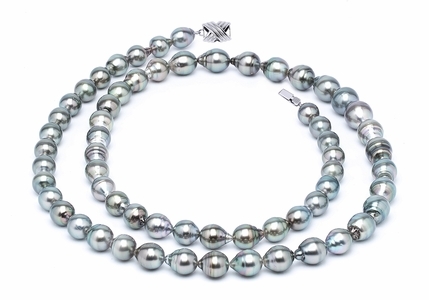 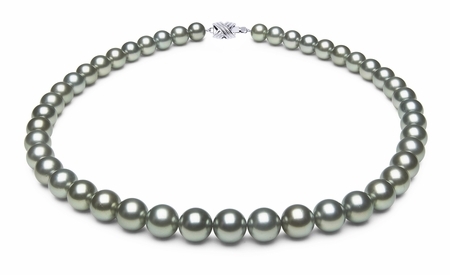 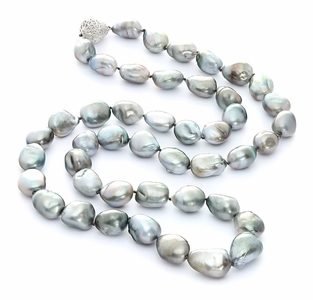 It takes an enormous amount of high quality pearls to yield such perfectly matched necklaces. 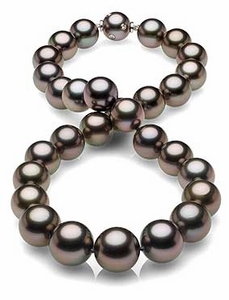 Something only American Pearl can do. 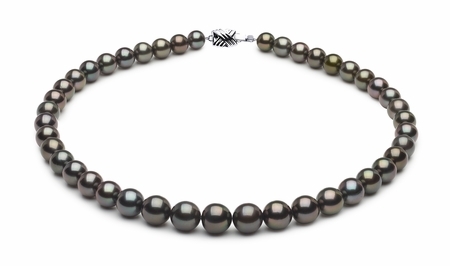 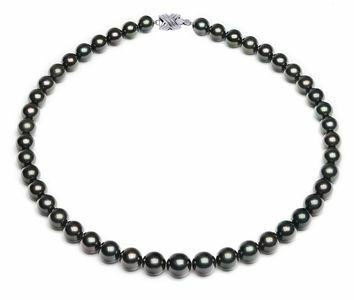 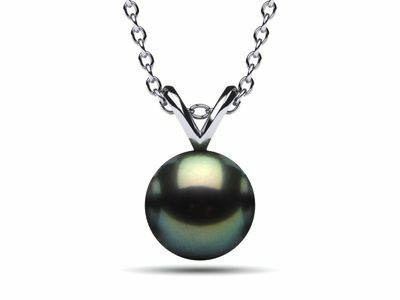 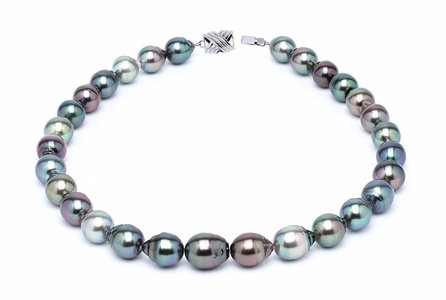 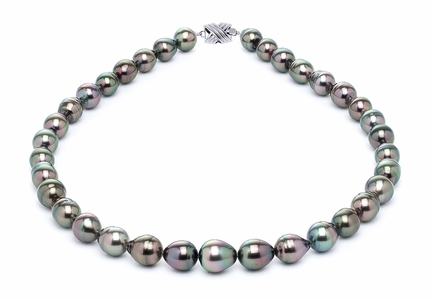 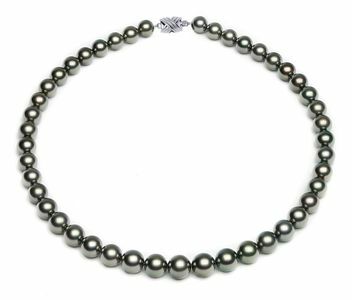 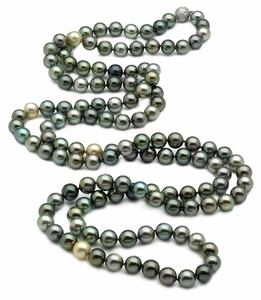 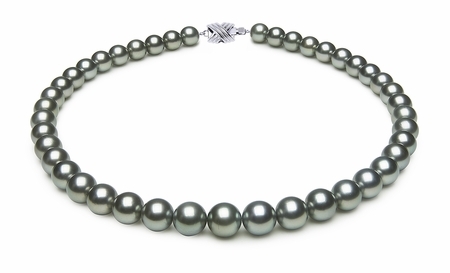 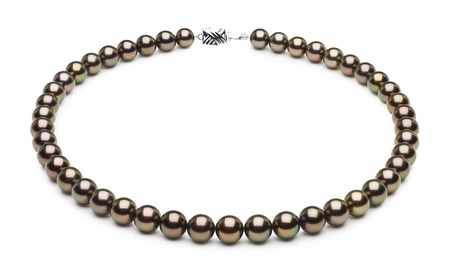 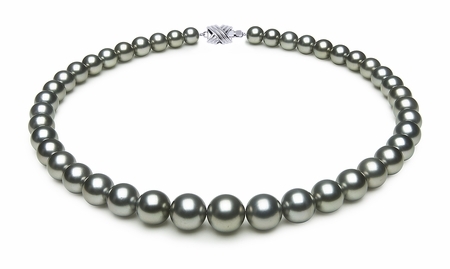 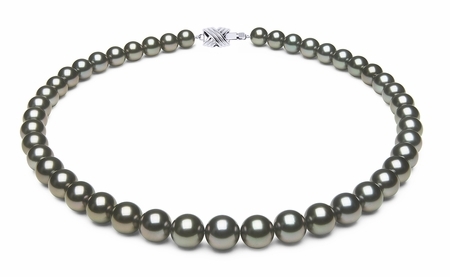 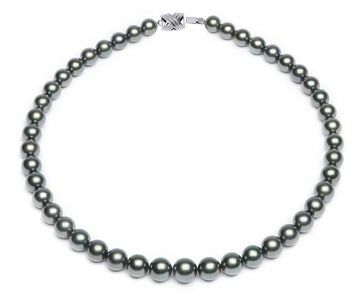 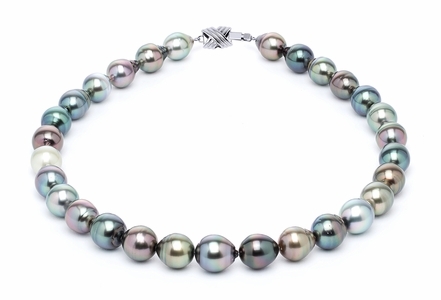 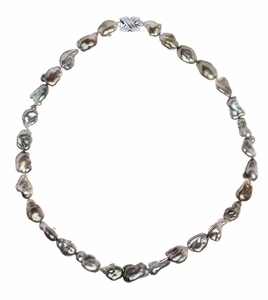 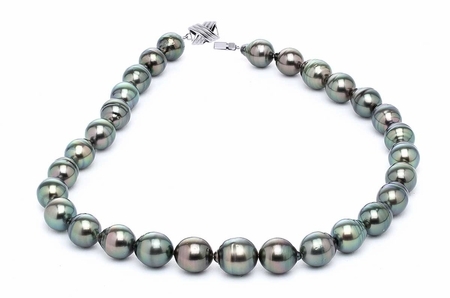 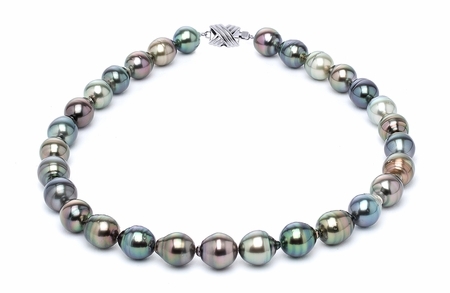 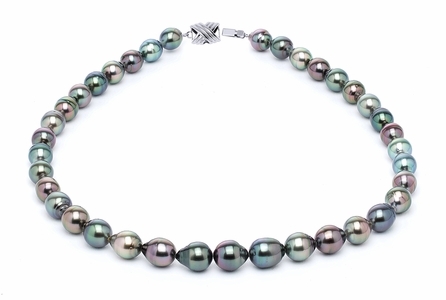 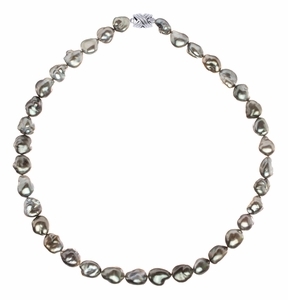 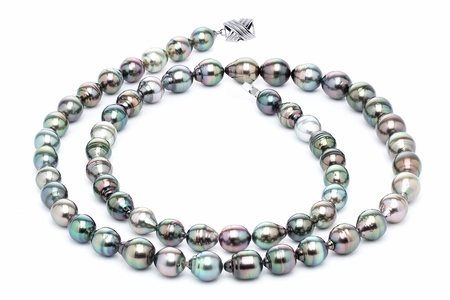 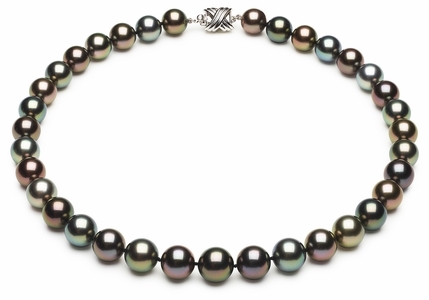 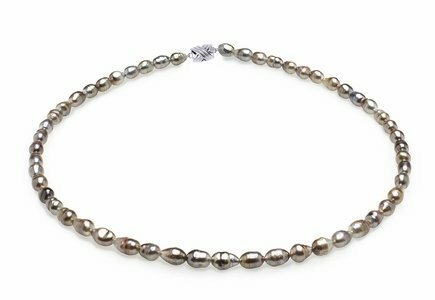 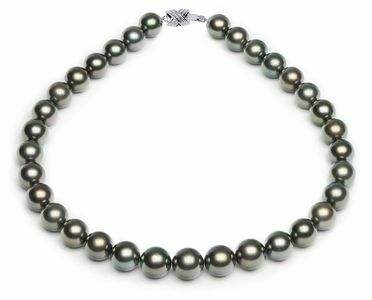 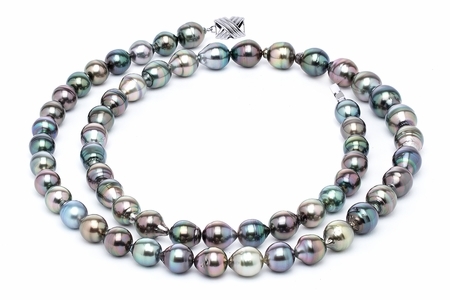 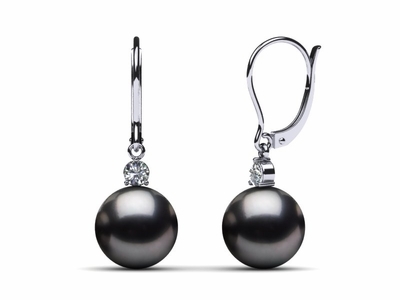 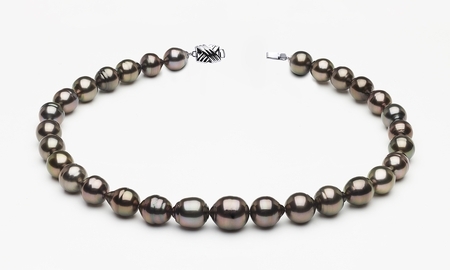 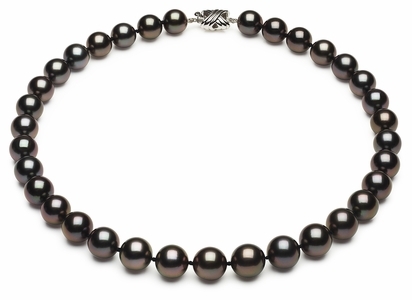 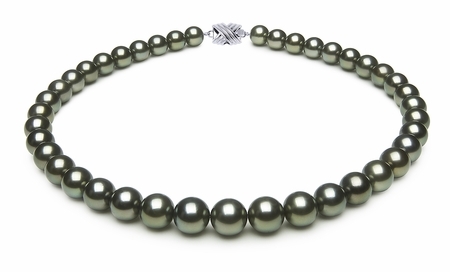 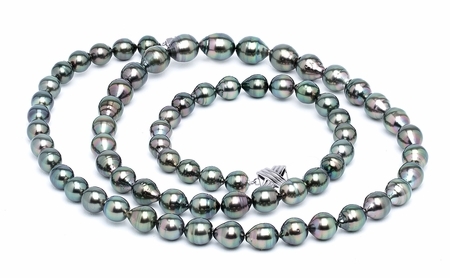 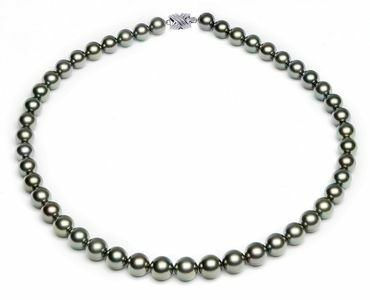 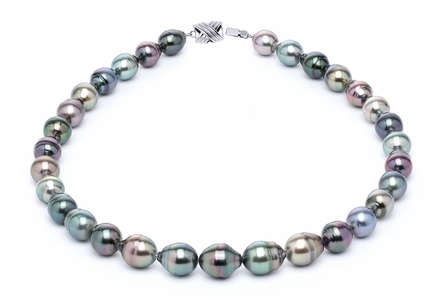 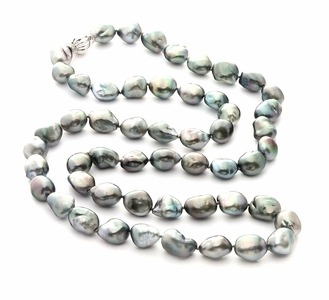 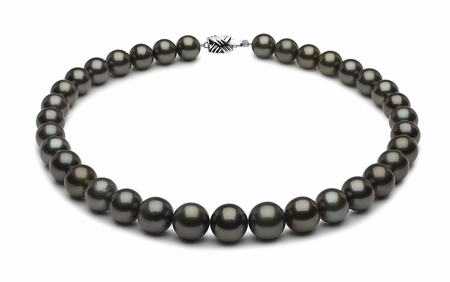 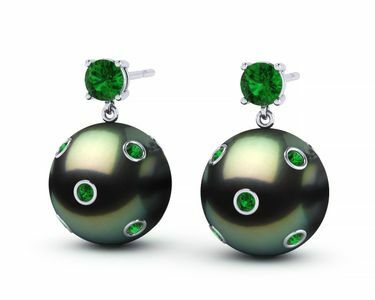 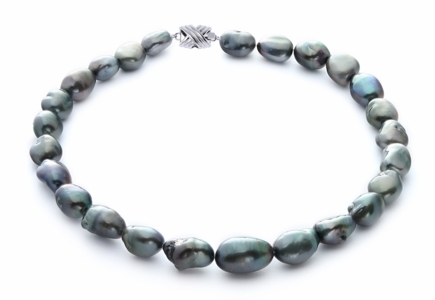 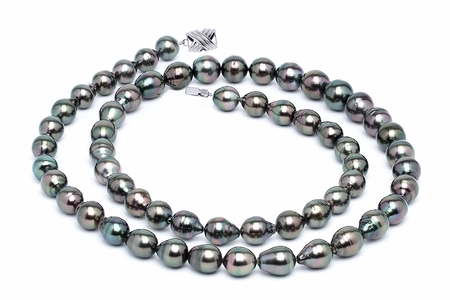 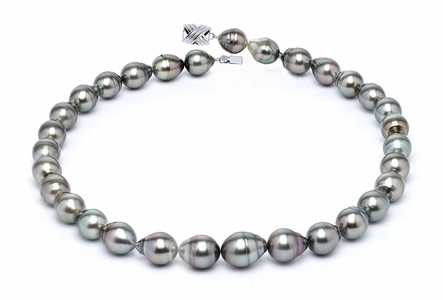 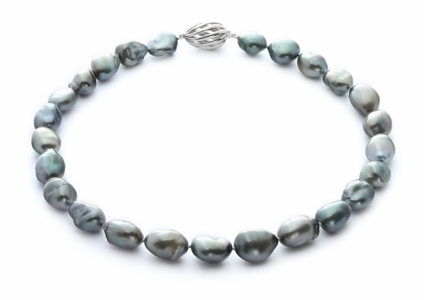 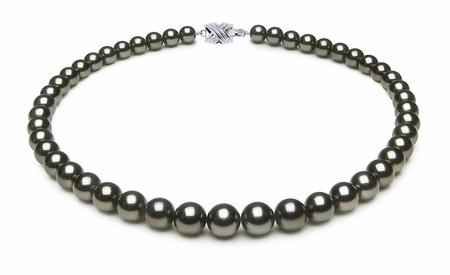 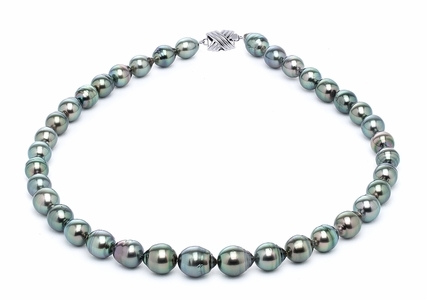 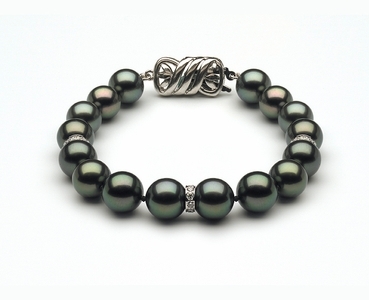 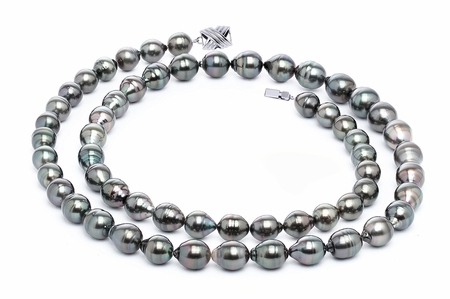 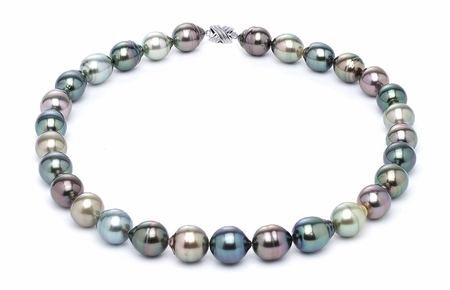 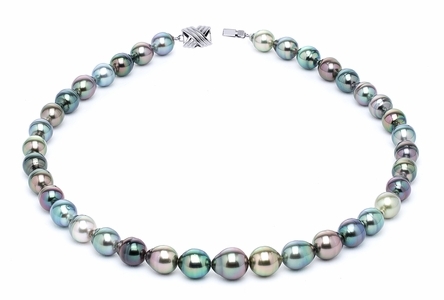 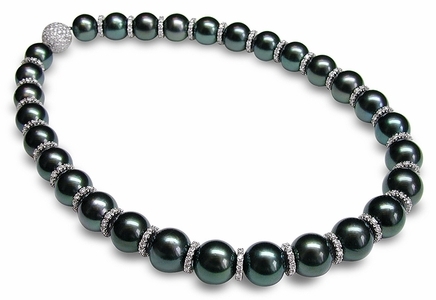 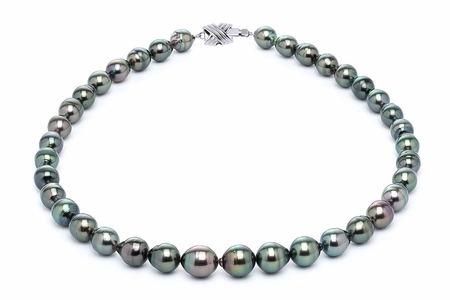 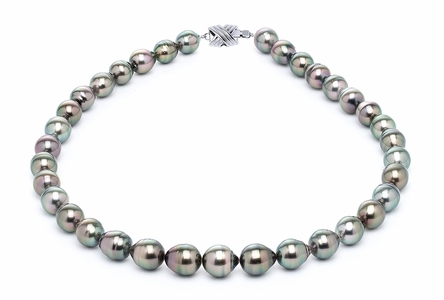 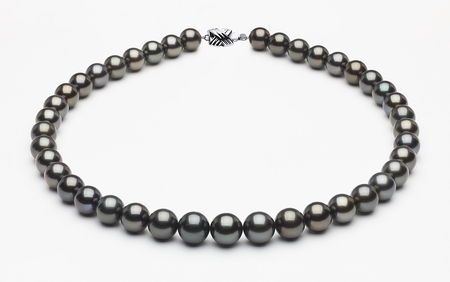 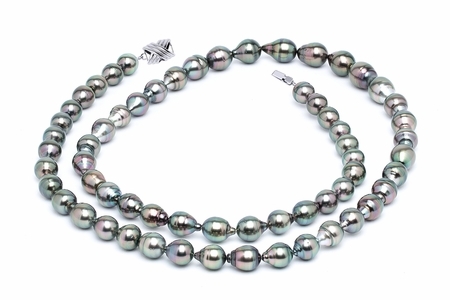 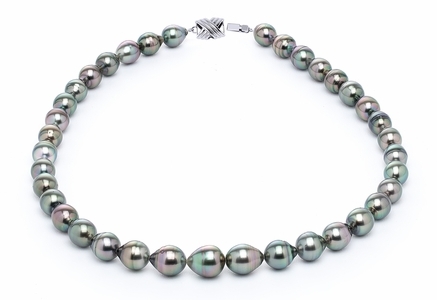 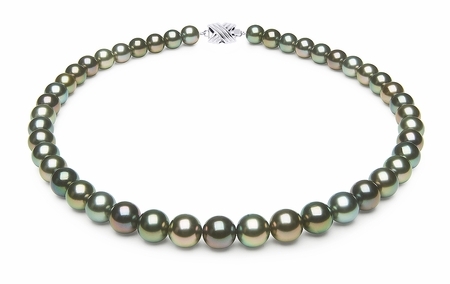 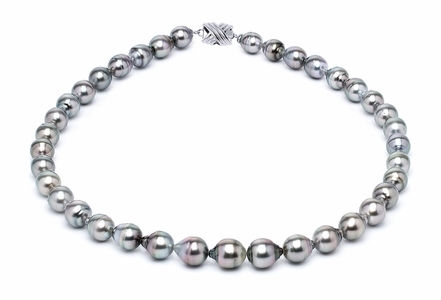 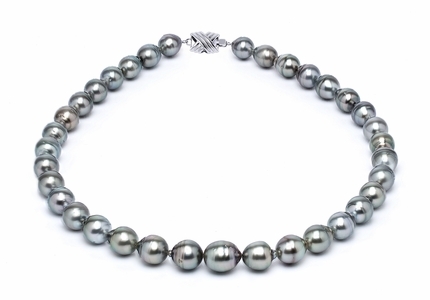 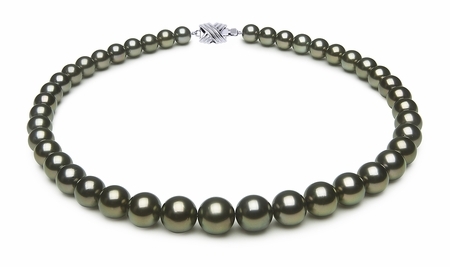 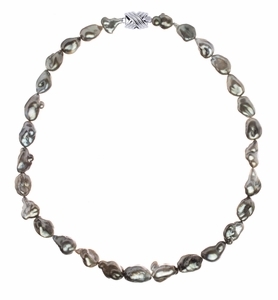 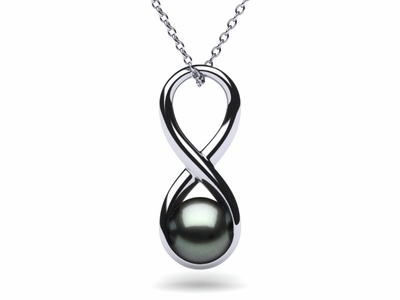 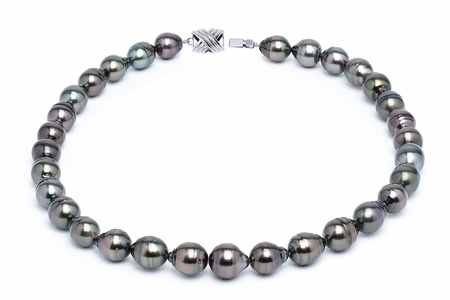 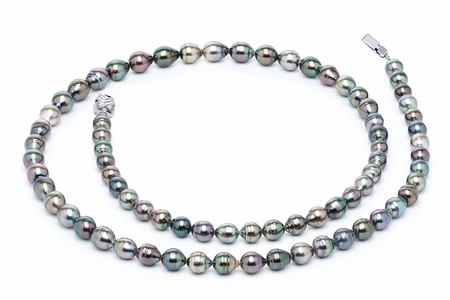 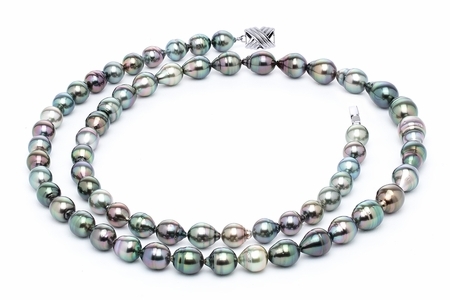 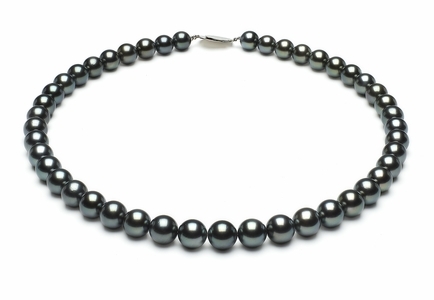 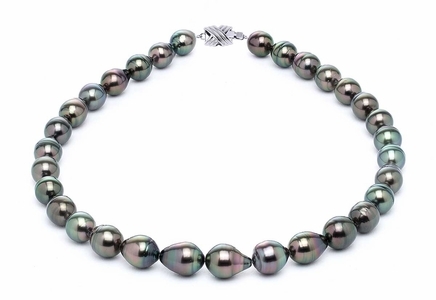 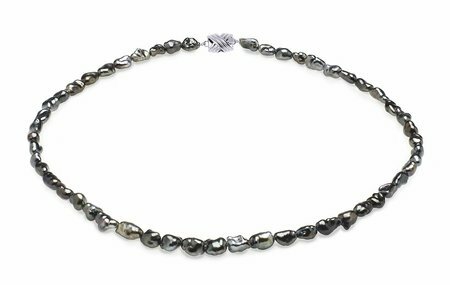 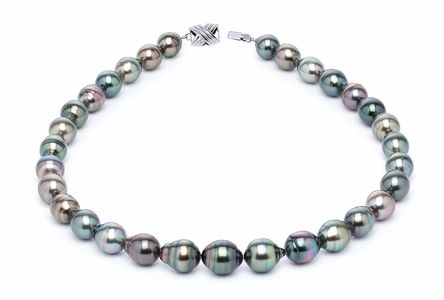 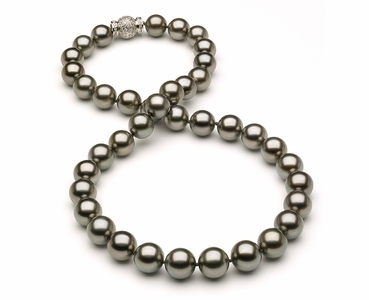 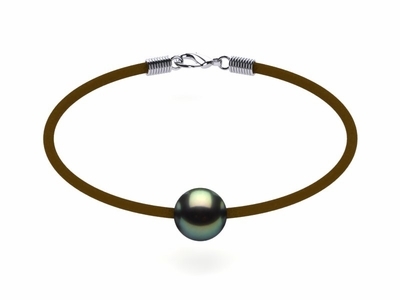 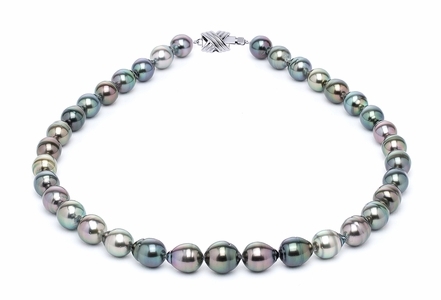 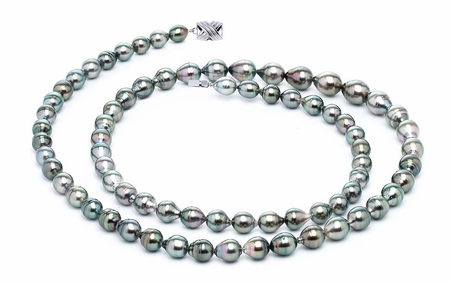 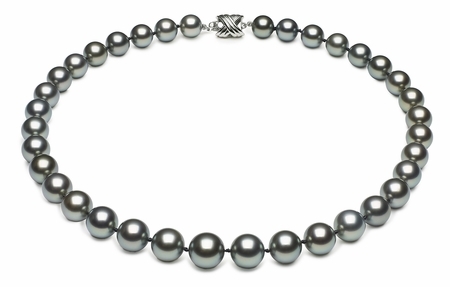 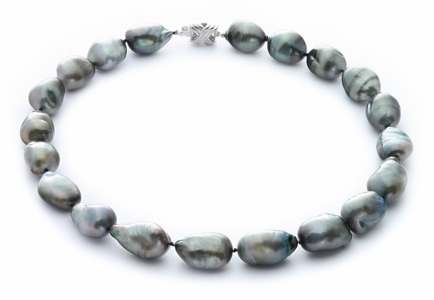 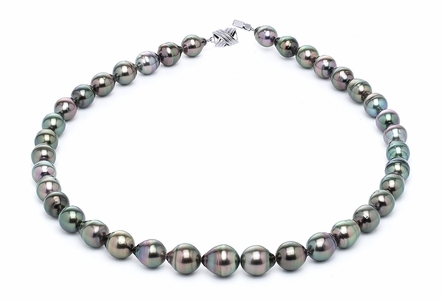 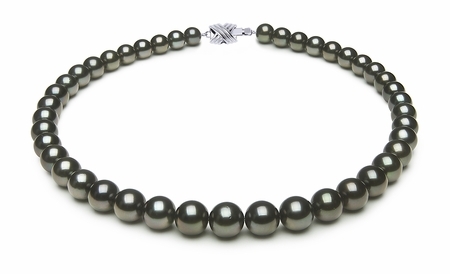 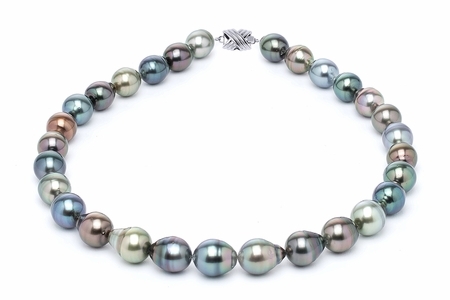 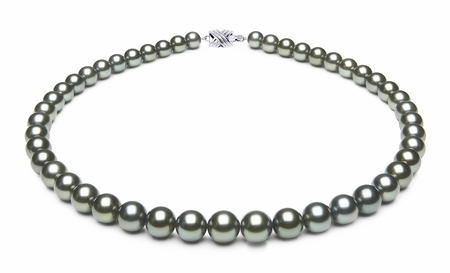 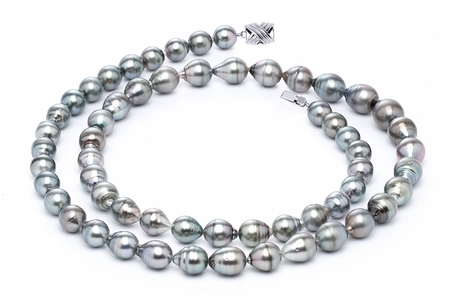 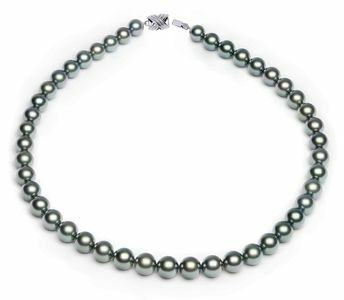 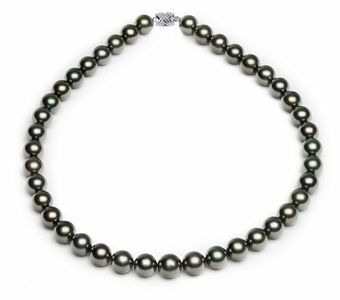 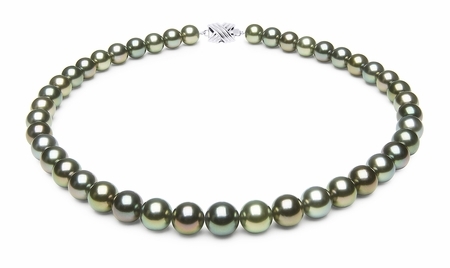 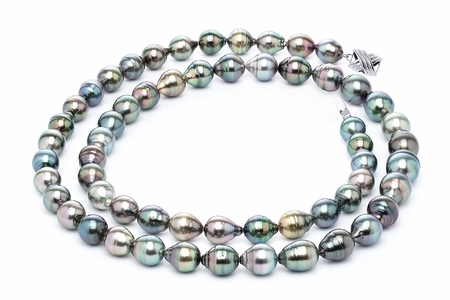 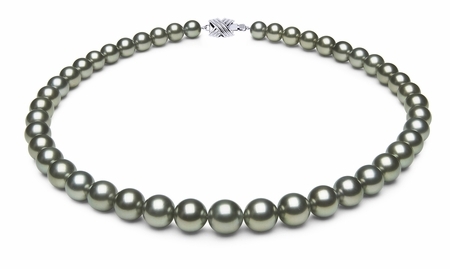 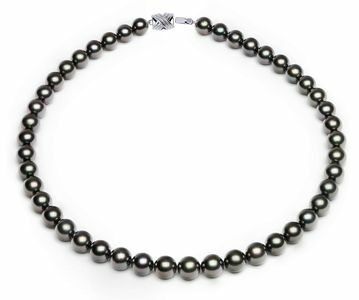 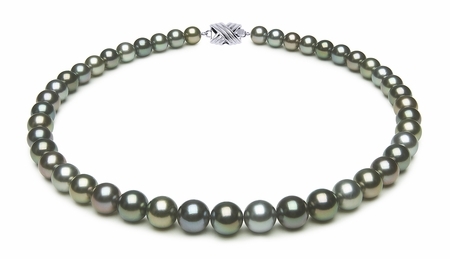 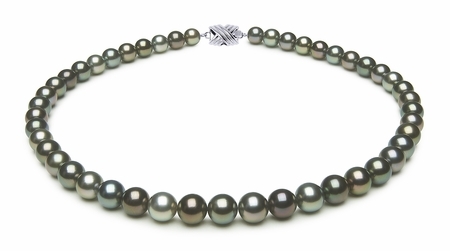 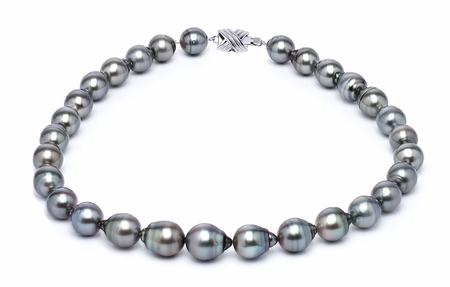 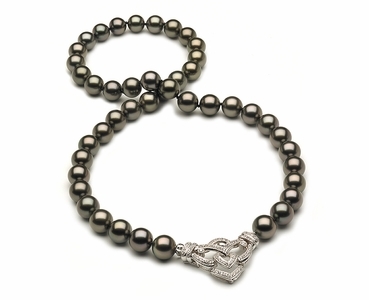 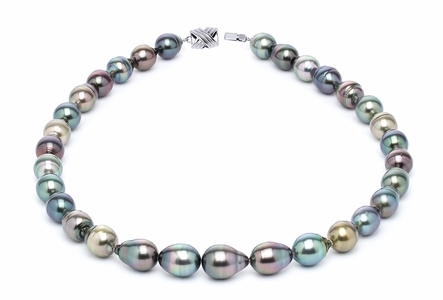 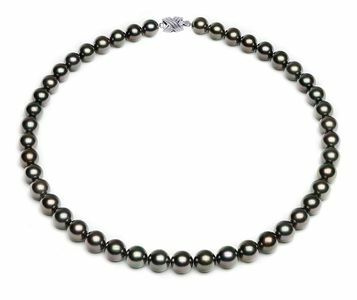 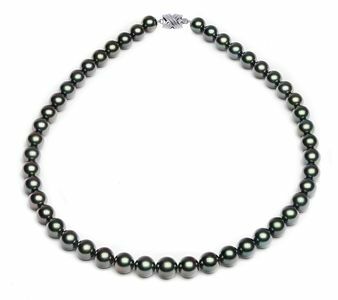 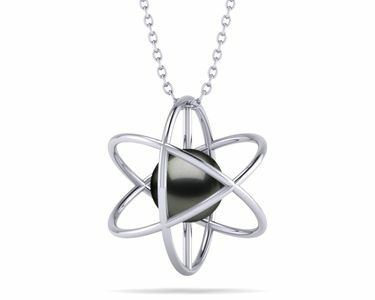 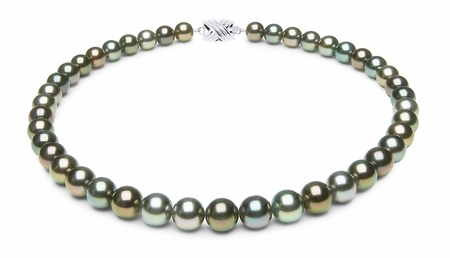 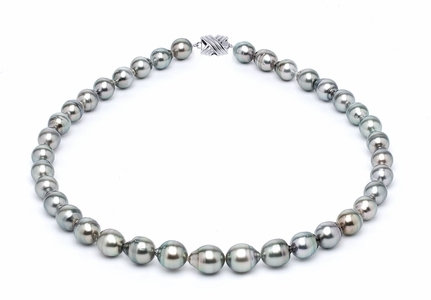 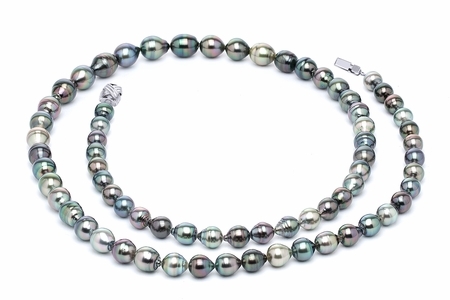 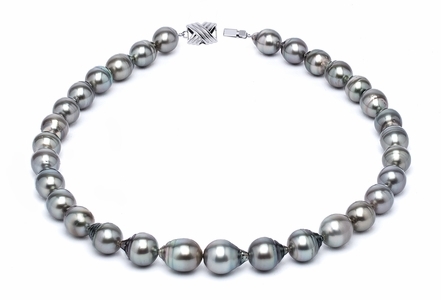 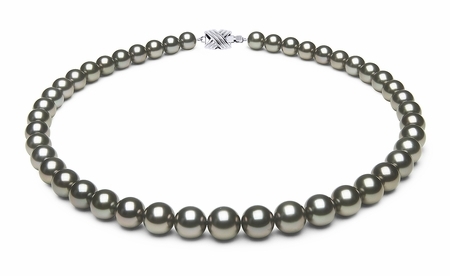 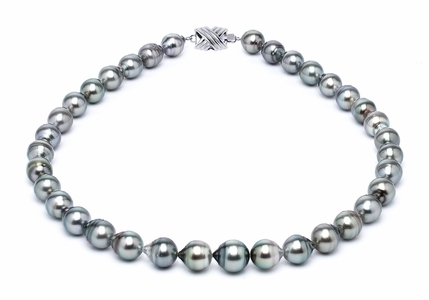 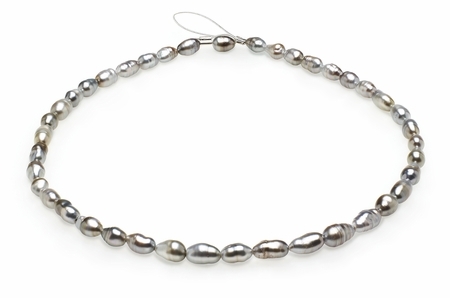 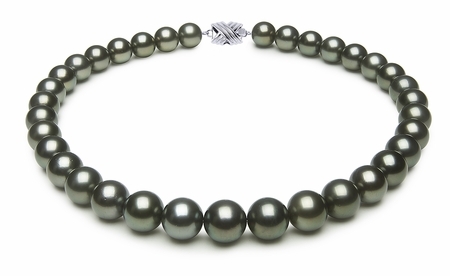 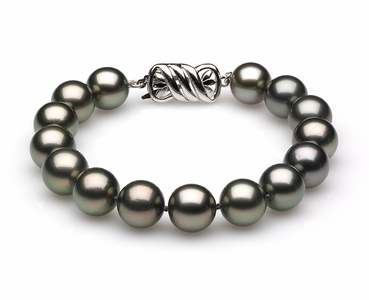 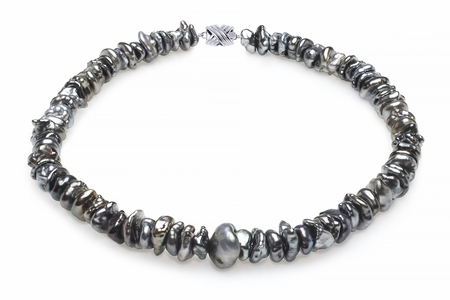 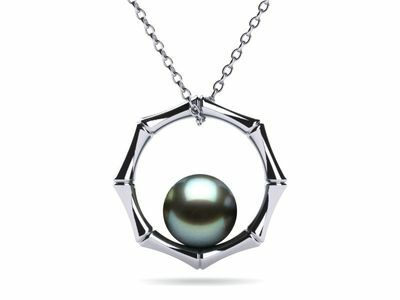 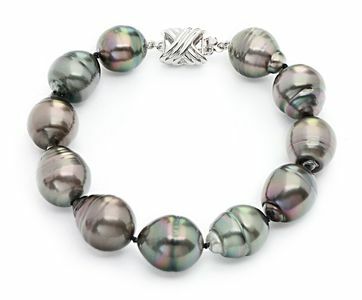 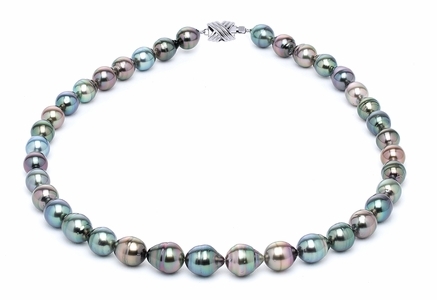 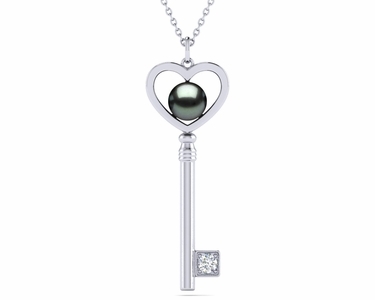 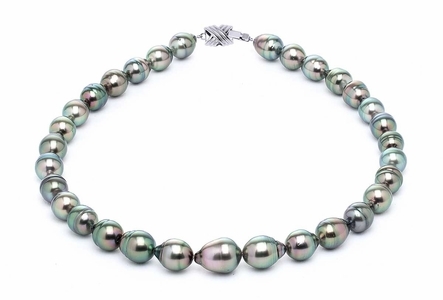 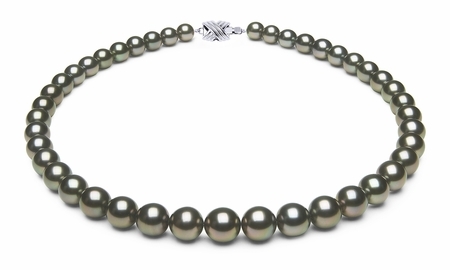 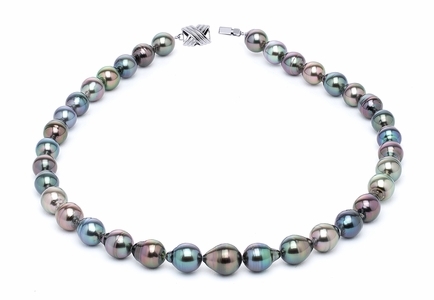 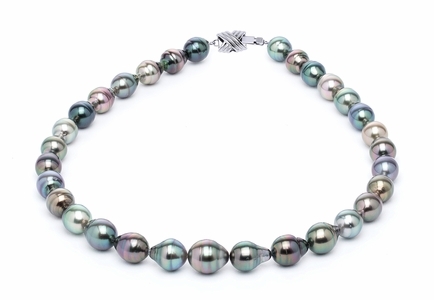 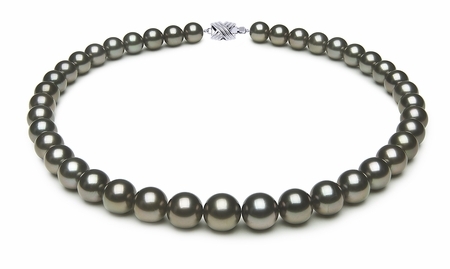 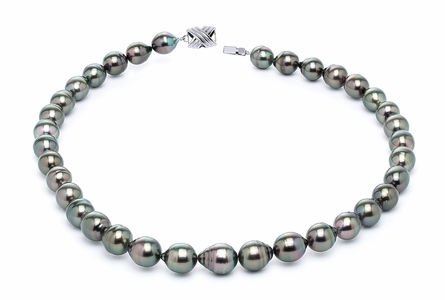 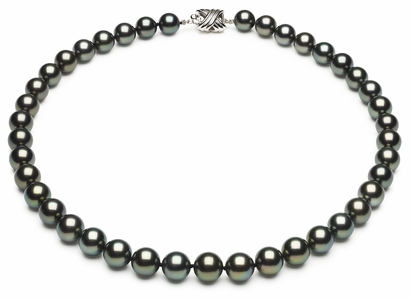 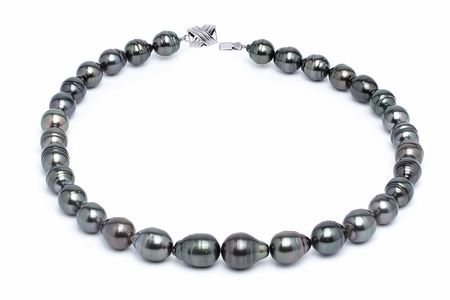 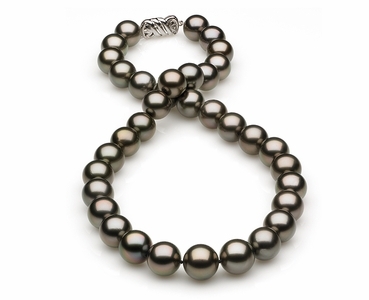 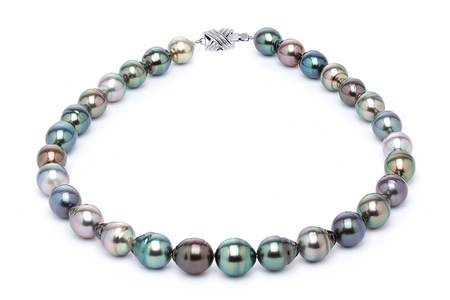 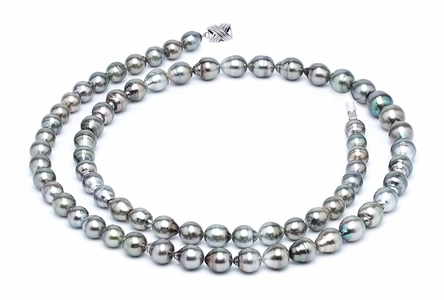 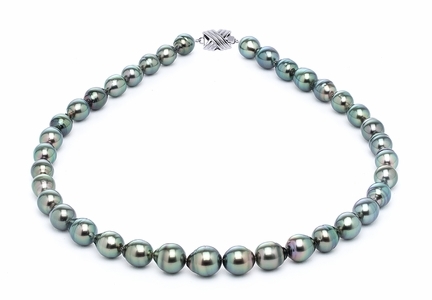 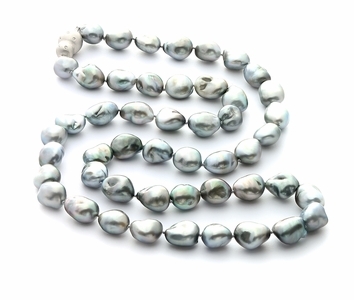 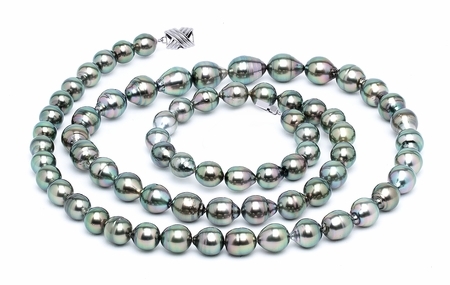 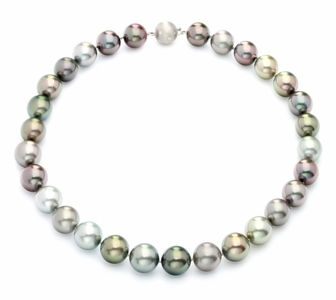 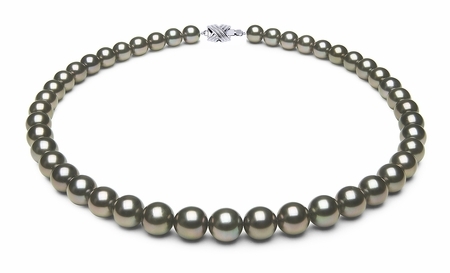 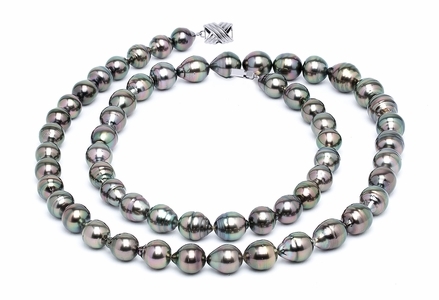 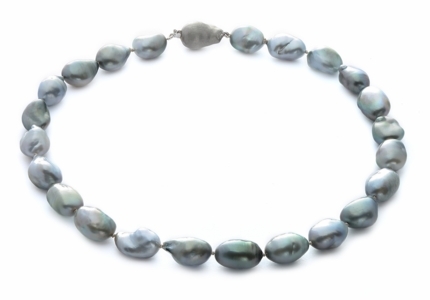 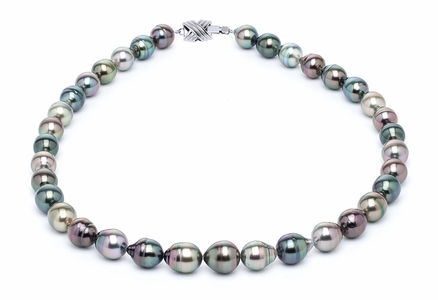 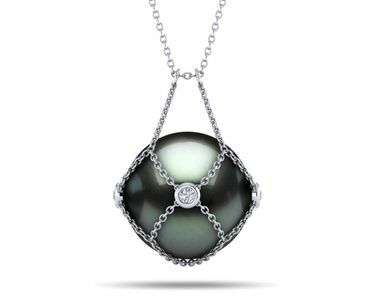 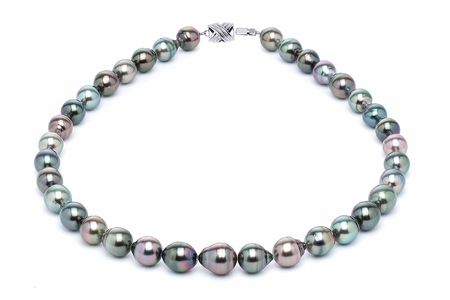 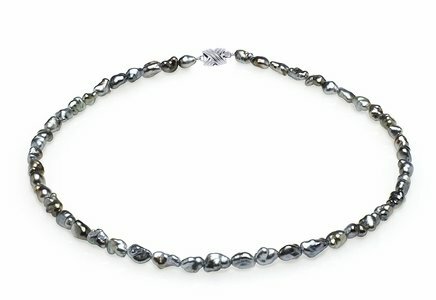 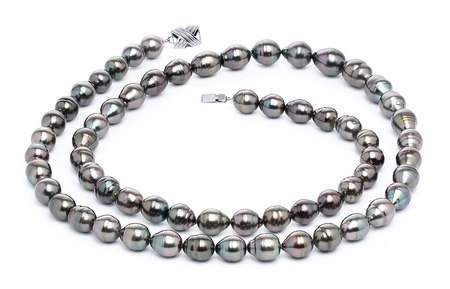 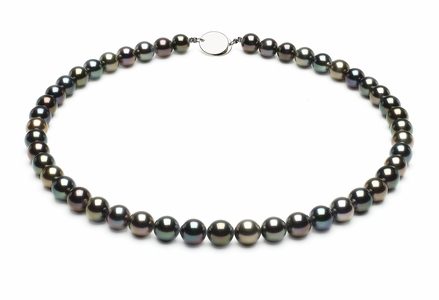 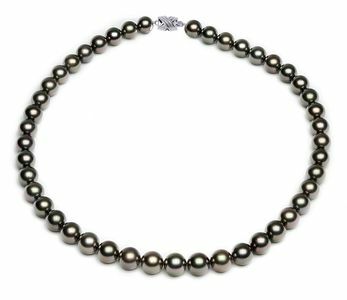 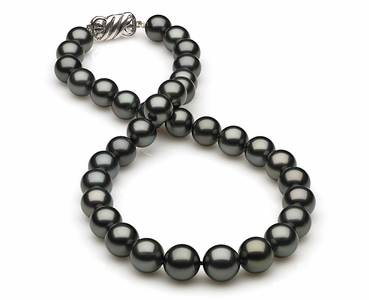 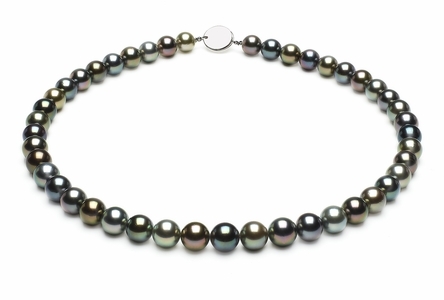 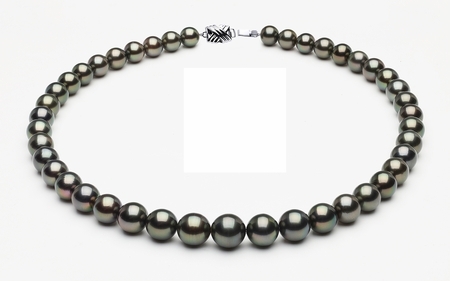 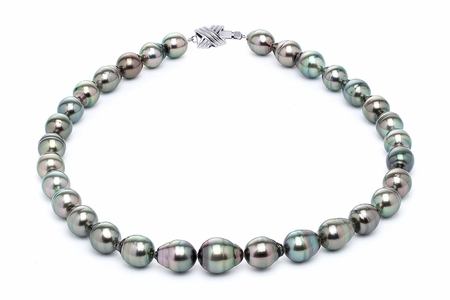 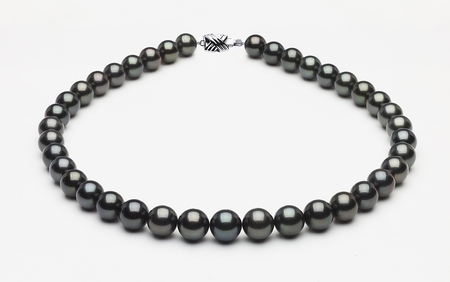 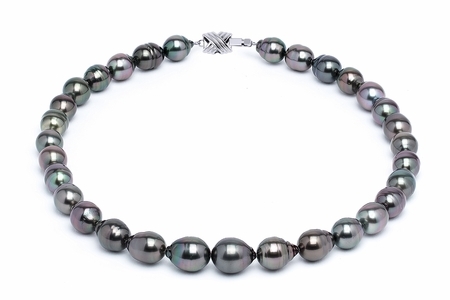 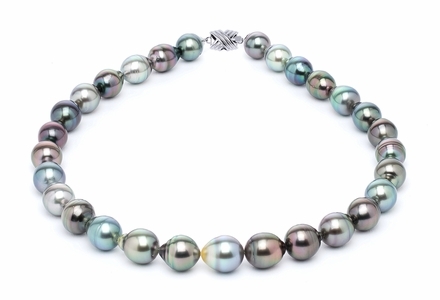 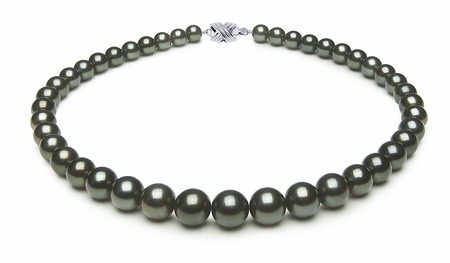 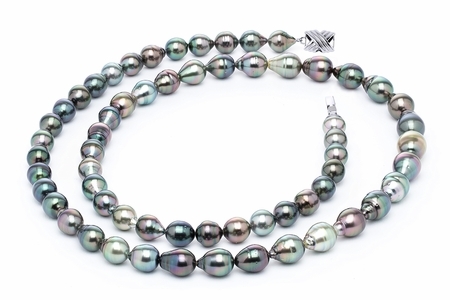 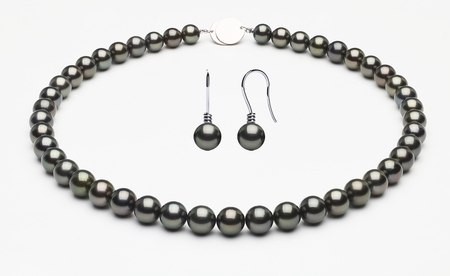 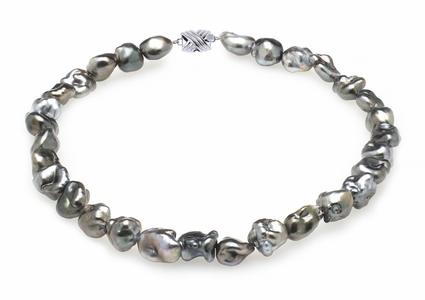 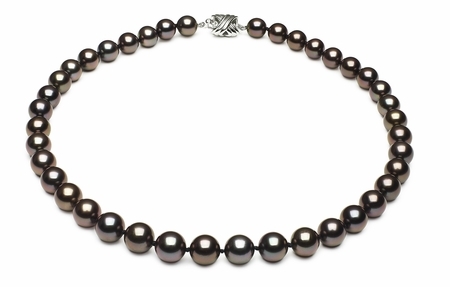 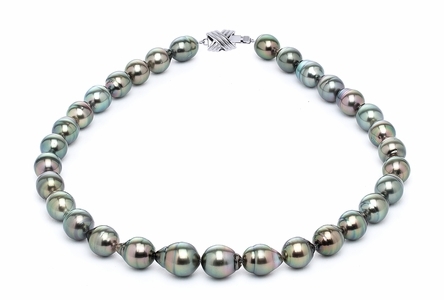 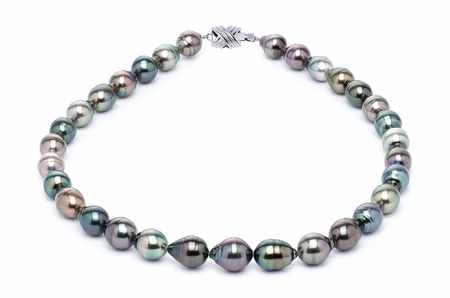 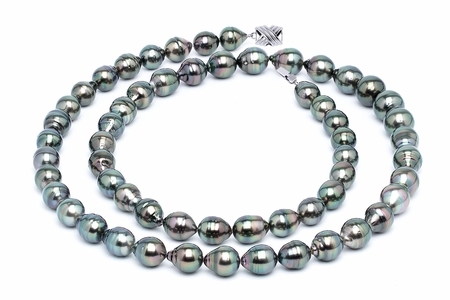 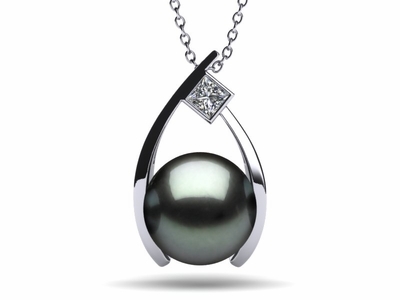 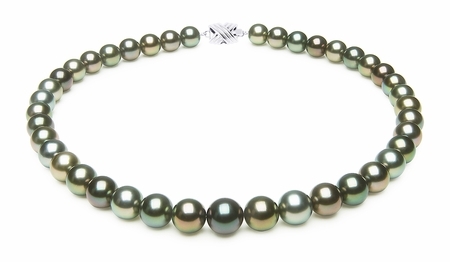 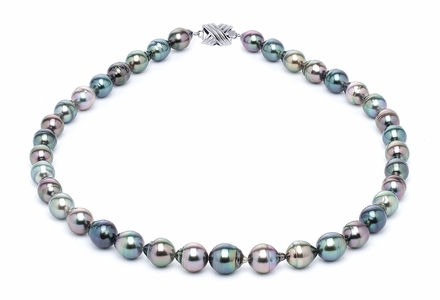 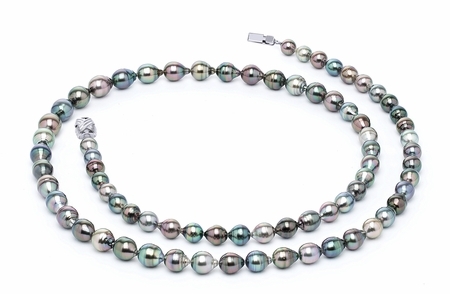 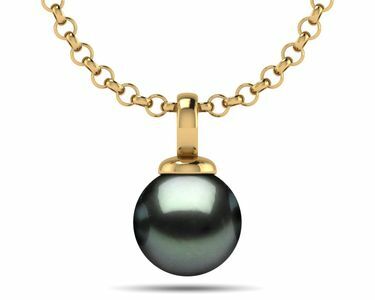 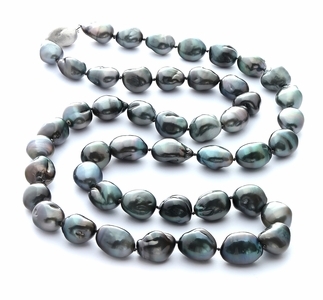 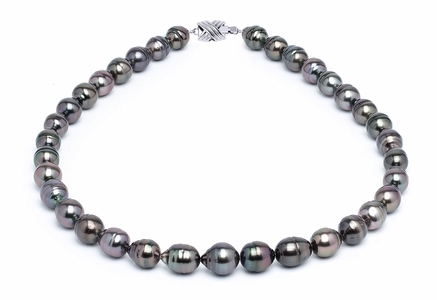 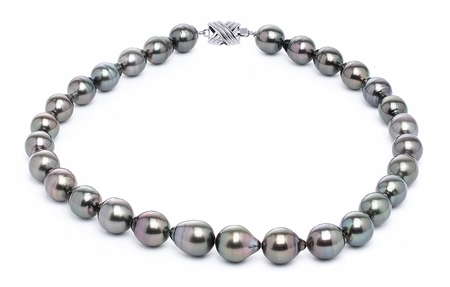 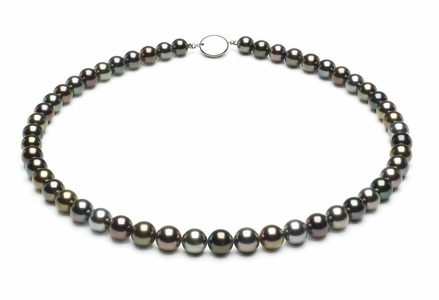 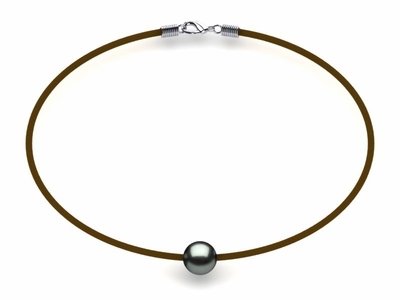 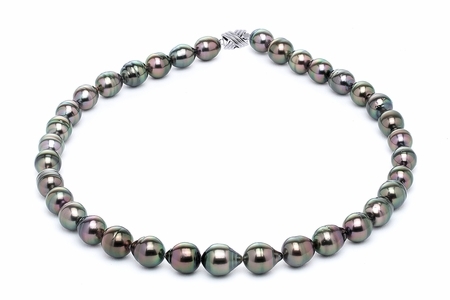 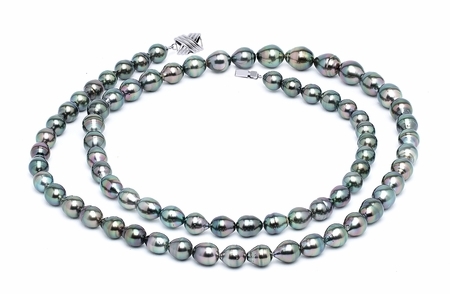 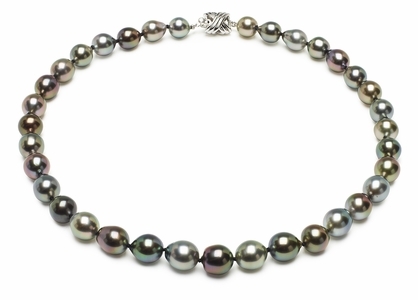 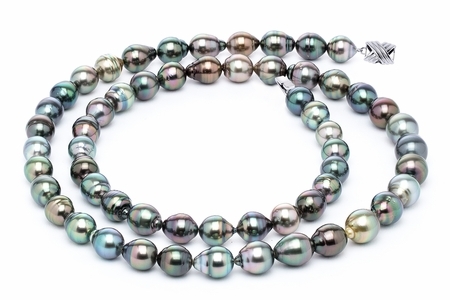 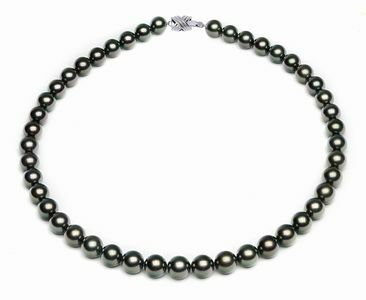 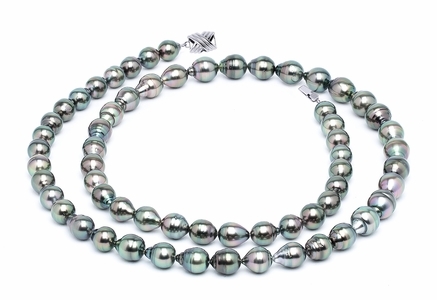 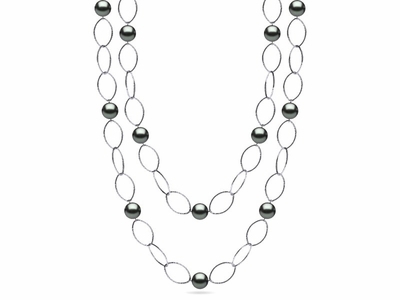 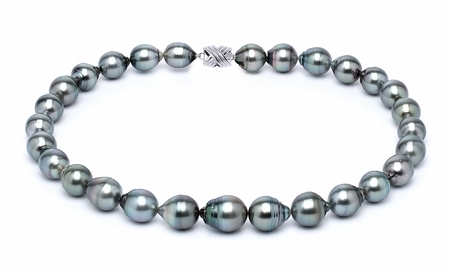 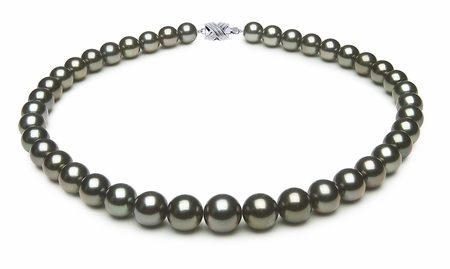 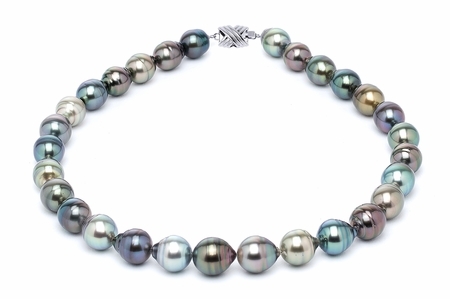 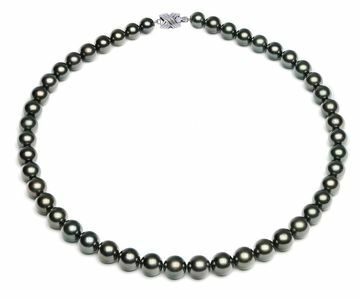 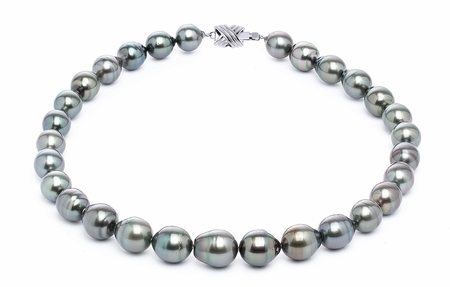 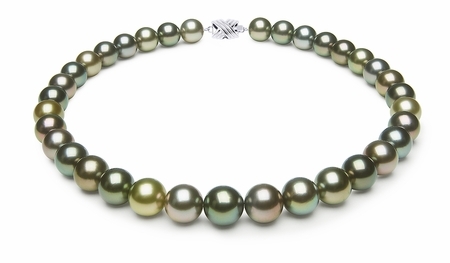 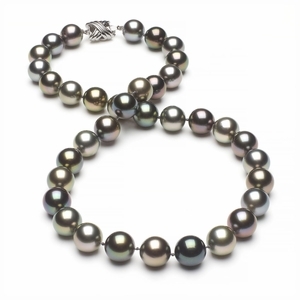 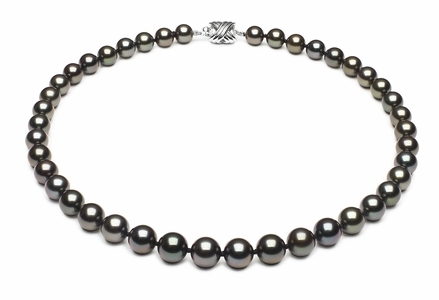 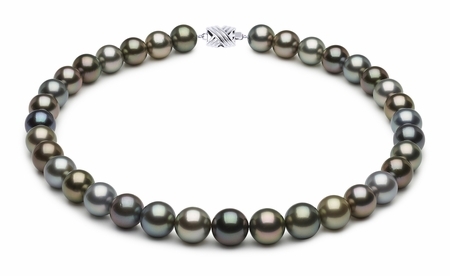 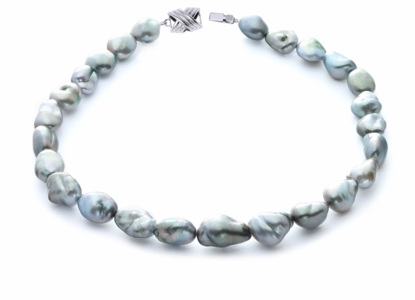 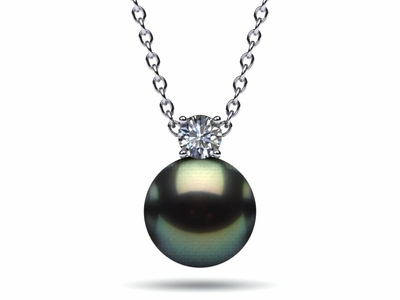 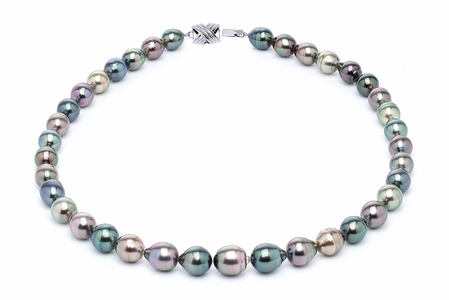 So buy early and get the first pick of the new Tahitian Pearl Necklace Harvest and save. 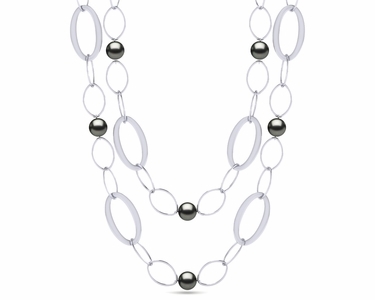 These necklaces and jewelry items won't last long. 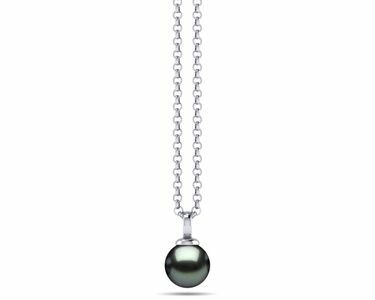 12 x 13mm Tahitian Baroque Pearl Necklace Opera 32"
Tahitian Pearl Grand Wish Pendant .20 carats t.d.w. 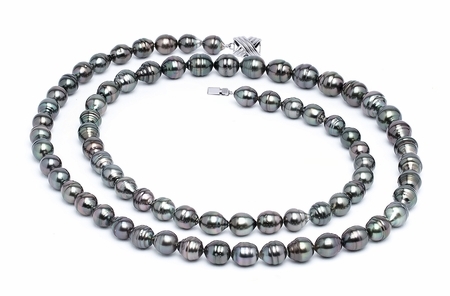 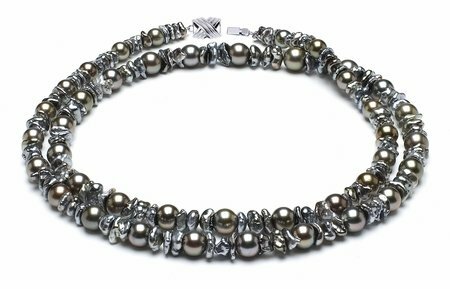 14.1 x 16.3mm Tahitian Baroque Pearl Necklace Opera 32"
12.3 x 15.3mm Tahitian Baroque Pearl Necklace Opera 32"
13 x 14.5mm Tahitian Pearl Baroque Pearl Necklace Opera 32"